Readers panel: Are stressed healthcare staff in danger of forgetting the lessons of Mid Staffs? A report by the charity Point of Care Foundation argues that the lessons learned from Mid Staffs are in danger of being forgotten amid endless service pressures. Nursing Standard readers have their say. The biggest lesson from Mid Staffs – implementing safe staffing levels – has never been learned by those with the power to do something about it. Demand and workload is increasing month-on-month, yet staffing levels are falling. We are facing a perfect storm in the NHS, and only health service staff are holding it back, for now. I fear that Mid Staffs is already happening again – not in one place, but patient by patient across the NHS. I have yet to meet a nurse who entered the profession to provide poor-quality care to patients. But staff shortages, combined with an increase in patient acuity, are putting unprecedented strain on the nursing workforce. Nurses are stretched to the limit by the challenge of providing high-quality, compassionate care in the current climate, with many working long hours without proper breaks. The resulting cognitive dissonance – where their behaviour is contrary to their integrity – can be a major cause of stress. 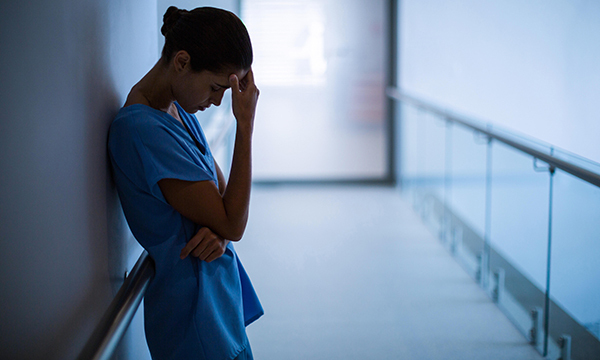 Stories of nurses’ stress levels and burnout seem to be the norm these days, and unfortunately this just becomes another voice in the crowd. As resources are stretched and people are pushed to breaking point, there is no doubt that care quality and safety becomes compromised. While I fully support the charity’s report, I won't be holding my breath waiting for any response or action to come from it. The key concept for me that emerged from the Francis report on Mid Staffs was ‘normalisation of deviance’. No healthcare professional wants to give bad care. Nor would I say healthcare staff could forget the Mid Staffs scandal. However, busy staff who are unsupported, burnt out and unhappy are not going to be able to give the care they want to. Mid Staffordshire highlights the importance of ensuring the health and well-being of the workforce, as much as that of the patients we care for.